AUGUST 10, 2017 UPDATE – new itineraries added in the promotion! Canadian residents can cast off on a spirited holiday-themed cruise to the Bahamas aboard the Disney Magic with this special offer! 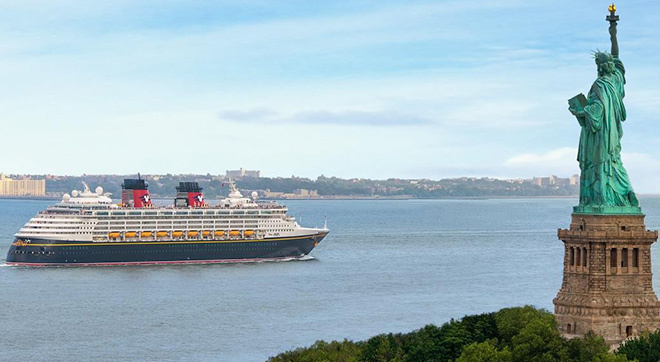 Canadian residents can save 25% off Verandah, Oceanview and Inside Staterooms on select 7- or 8-night cruises departing from New York City Oct. 14 and Nov. 18, 2017. Both sailings include festive décor, themed activities and a bonus treat – Marvel Day at Sea, an exciting day-long extravaganza packed with Marvel Super Heroes (and villains) and one-of-a-kind entertainment. They’ll also visit Castaway Cay, Disney’s private Bahamian island and Florida, where they can dive into more magic at Walt Disney World Resort – one day tickets with Park Hopper Option and roundtrip transportation is included for everyone in their traveling party! Everything your Clients need to experience a relaxing, yet fun-filled family vacation is at their fingertips – Broadway-caliber shows, elaborately themed pool areas, divers dining options and more! Let me know if you would like a complimentary travel quote or if you have any additional questions! I would love to help you with your Disney Cruise vacation!